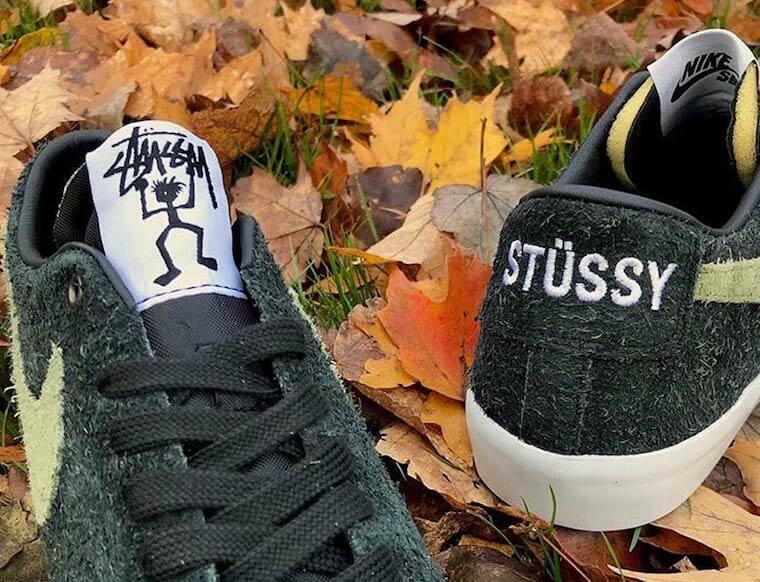 Nike SB is teaming up with street-wear brand Stüssy to release a brand new special collaborative edition of Blazer Low. The shoe basically comes covered in a Palm Green hairy Suede upper followed by Swoosh logos draped in a lighter tone of Green. 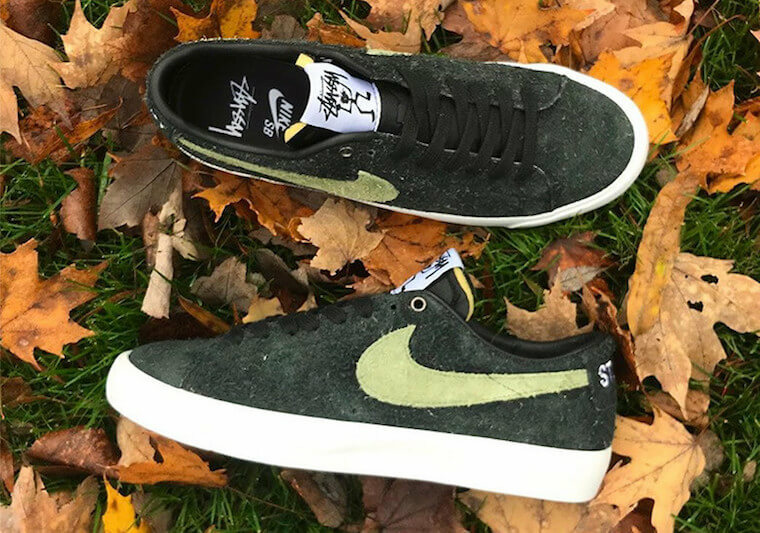 This particular iteration of Nike SB Blazer Low has been further decorated with Stüssy embroidered heel tab featured in White and brand’s signature logo placed on the tongue label. At last, completing the whole design altogether are the co-branded insoles, Black leather liner, and a White midsole. Check out more detailed images below and grab a pair for yourself at any select Nike skate retailers on 8th of December 2018.